MS is a complex disease which affects many bodily systems and manifest differently in each patient. 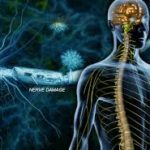 While Western medicine is efficient at diagnosing MS, it is not that effective at providing thorough relief patients seek. Many patients turn to alternative therapies such as acupuncture to help them tackle this autoimmune disease. Acupuncture views each patient as a unique individual, and therefore is able to address the unique set of symptoms of each MS patient, treating every individual holistically. A trained acupuncturist is able to perform pulse diagnosis and pinpoint areas where a patient exhibits energy blockages. These are then released. Over time, patients find that their symptoms improve. Debilitating headaches are a common complaint among MS sufferers. Multiple studies all over world, including the British Acupuncture Council or the Canadian Medical Association Journal show strong evidence that acupuncture provides lasting relief against migraine headaches.. Diminished cognitive functioning in the form of concentrating and memory difficulties are most life-altering symptoms of MS. Acupuncture is able to address this while Western medicine is often unable to help. Symptoms of numbness and tingling in various areas of the body is yet another symptom of MS sufferers. It can be considerably relieved with acupuncture treatments. Fatigue – both, Western and Oriental studies have demonstrated acupuncture’s effectiveness in tackling this symptom. 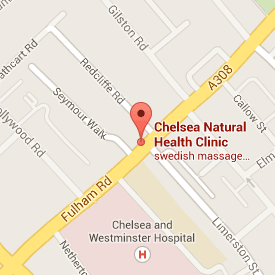 Moreover, some people report that acupuncture also relieves symptoms of intense pain, muscle spasms and bladder control problems in MS.
Eva works in Fulham SW10 London every Saturday & at other times by request.